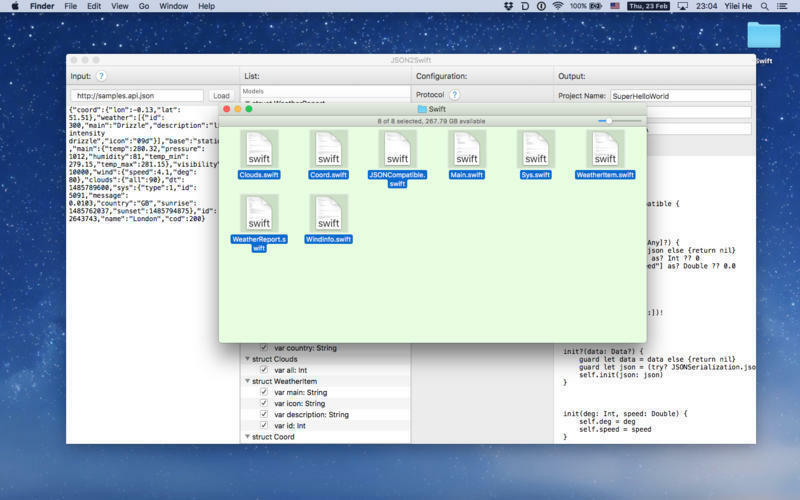 Generates modern Swift 3 code of models from JSON. Is there a better alternative to JSON2Swift? 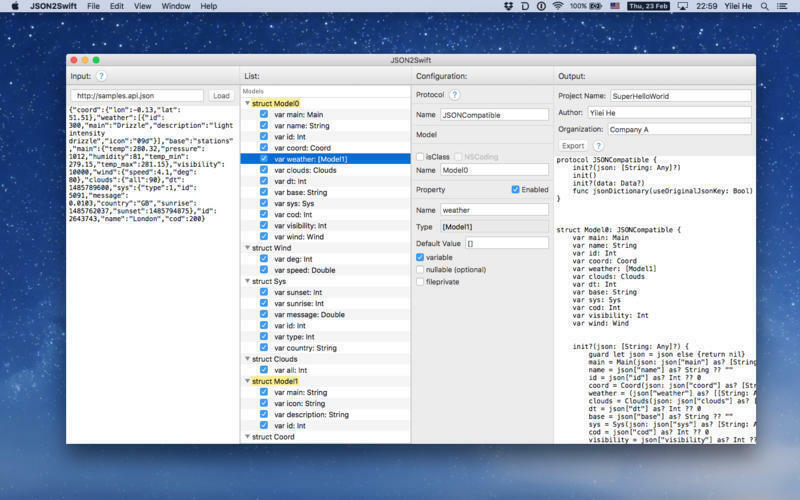 Is JSON2Swift really the best app in Developer Tools category? Will JSON2Swift work good on macOS 10.13.4? 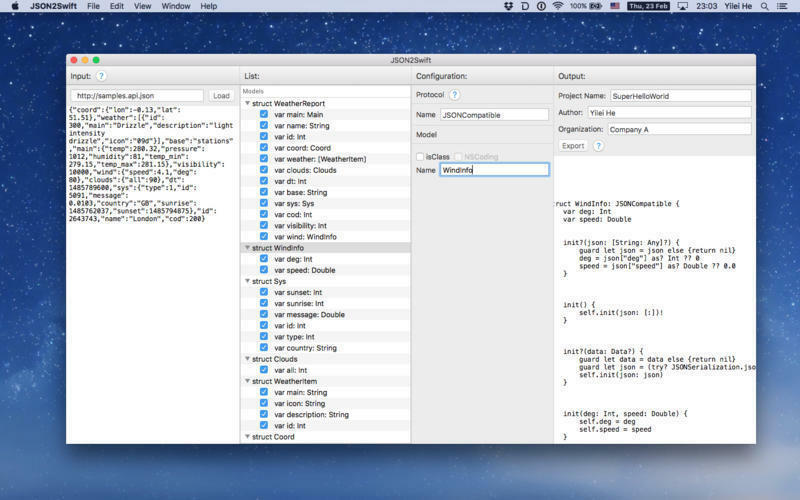 JSON2Swift is a code generator which generates modern Swift 3 code of models from JSON. It is straightforward and easy to use. 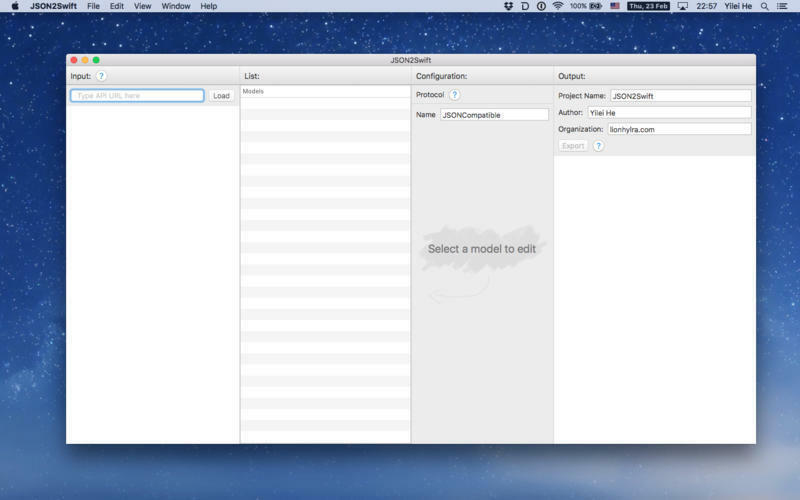 The minimum required input is a JSON text(or URL) and the name of generated model. It also provide full support for customization. 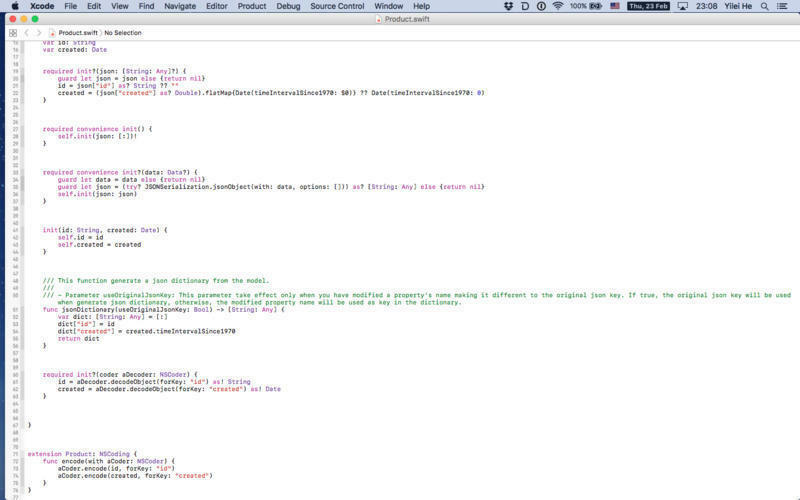 By using it, it generates hundreds of lines code, saving you tens of hours for each project. JSON2Swift needs a review. Be the first to review this app and get the discussion started! JSON2Swift needs a rating. Be the first to rate this app and get the discussion started! Options to declare property using "var" or "let"